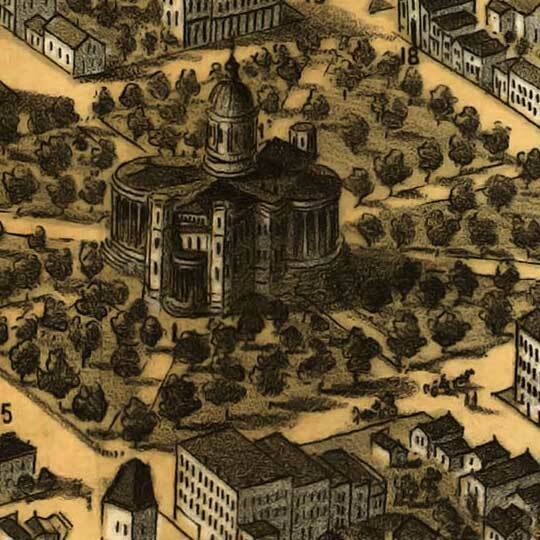 A. Ruger's birdseye map of Madison, Wisconsin in 1876. 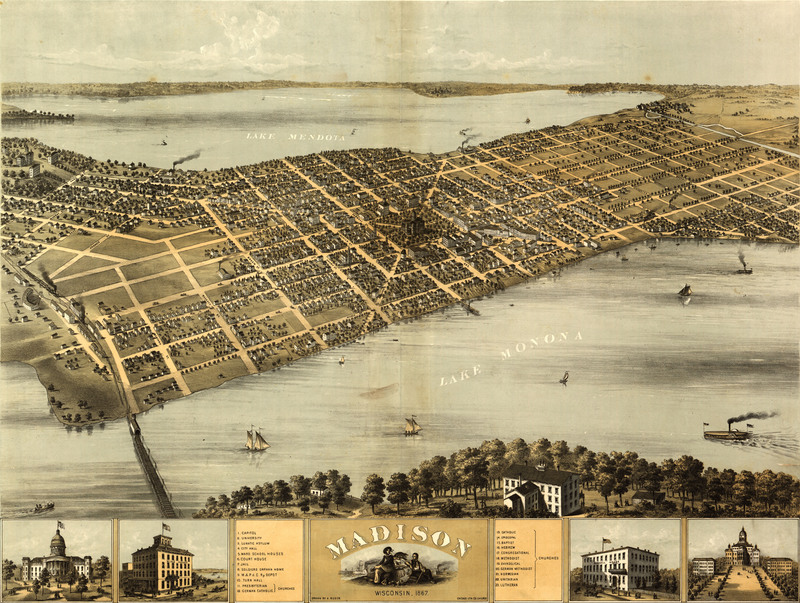 I hadn't realized that Madison, Wisconsin [gmap] is such a pleasing isthmus before I came across this print by Ruger... or is this artistic license? This image actually says it is 1867, not 1876. How do you download the image??? In the table beneath the square thumbnail, you’ll find a hyperlink. The size is hyperlinked and it opens in a new window but that’s all.. am I missing a step?? That’s a link to the full-sized JPEG. Save it as you would any other file. Right-click and “save as”, or drag and drop to your desktop, or WGET, or whatever else. Let me know if I can help, further. no that’s pretty spot on, about 9-10 blocks today, looks like 10-11 in this rendering.